Thimbleweed Park, a great new adventure game by some of the key talent behind Maniac Mansion and Monkey Island, sets up several mysteries that are never quite resolved. Does that matter? Director Ron Gilbert argues not. The final plot twist—that Thimbleweed Park is just an adventure game!—handwaves all these mysteries in a way that, while funny, can also feel unsatisfying to people who spent the whole game wondering what was going on. It’s all done for a reason, right? As I read through the blog and I read through Steam comments and stuff, people are throwing out all these story flaws with the game, and I don’t think they’re story flaws. It was all done [with] a reason, and a purpose. It’s not so much a secret, but it’s just that you need to — I look at a lot of the stuff that people are calling story flaws, and I think people need to step back and look at the stuff more as metaphors for things. And I think it makes a lot more sense when you do that a little bit. So I don’t think we’re ever gonna reveal the meaning to these scenes, ‘cause I don’t know that some of these scenes actually have concrete meanings. I think people really want hard answers, they want to know well exactly what happened with this scene? A lot of times they don’t have hard answers, they just have interesting metaphorical answers. I think if you take everything too literally, it’s not gonna make sense. I think for anybody who wants to understand the meaning for all these things, the only thing I would say is step back a little bit. Stop looking for really pat answers, and stop looking for these very physical answers to stuff, and look at the things that happen more as metaphors for things. Then I think it’ll probably start to make more sense. I’m not so sure I buy that. A game like Thimbleweed Park uses mysteries to keep the player invested, encouraging him or her to keep going in order to see what will happen next. To end the game without resolving those mysteries, and then to argue that they were meant to be metaphorical, feels like a copout to me. Like the end of Lost. 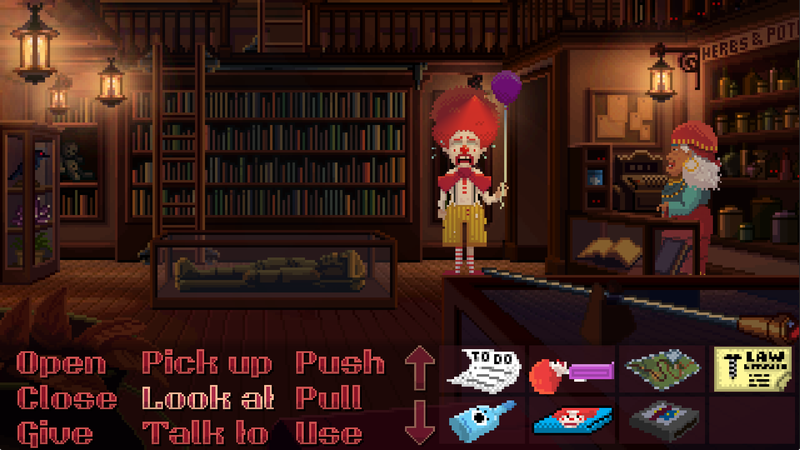 But I’m curious: those of you who have played Thimbleweed Park, what do you think?